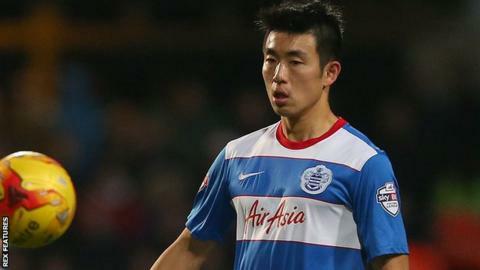 Charlton Athletic have signed Queens Park Rangers left-back Yun Suk-Young on loan until the end of the season. The 26-year-old South Korea international has featured just three times for the R's this season, with his last appearance coming on 28 November. "Yun is a player that will bring us some of the experience that we need in our situation," Addicks boss Jose Riga told the club website. "He knows the Championship and has a good knowledge of English football." Suk-Young has scored one goal in 37 appearances for Rangers since joining from Chunnam Dragons in January 2013. The Addicks, who are 23rd in the Championship and six points from safety, signed former Watford defender Marco Motta on Friday.